The Underwater Navigation Solution (UNS) enables divers to view their position while under water. The Valtamer UNS is designed to work with Alltab® the underwater tablet. 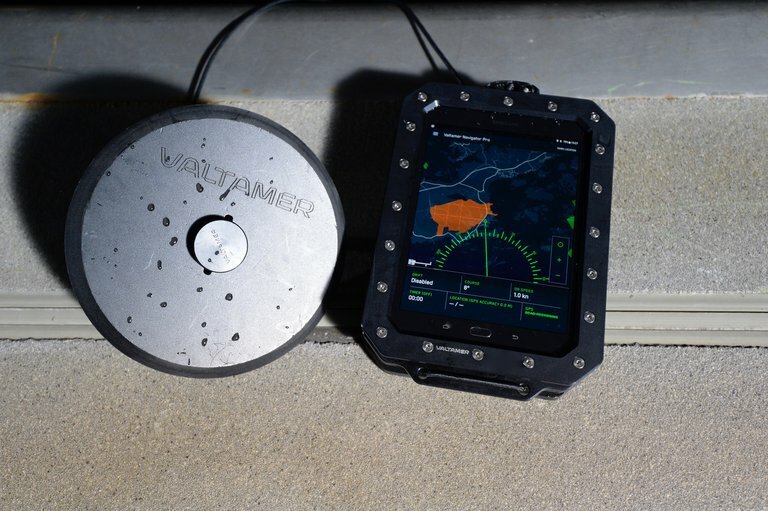 The Valtamer UNS includes a satellite signal receiver kit (GPS/GLONASS), Valtamer Connection software and the Valtamer Navigator Pro application. The Valtamer Navigator Pro is a navigation application. It was designed in cooperation with both military and scientific divers. Valtamer Connection application, connects the UNS and Alltab® together. The UNS signal receiver kit includes four major components. SSR Module: The satellite signal receiver module receives positioning signal from satellites and relays it to Alltab®. Buoy: A customized buoy that keeps the module afloat. Cable: Connects the module with the reel. Reel: Attached to the back of Alltab. Connects to Alltab® software under water via Bluetooth. When the satellite signal receiver module is above the surface and the kit is connected to Alltab. A diver can view his/her position on the Valtamer Navigator Pro application. The UNS satellite signal receiver can also be used with other Valtamer software applications. There are two ways to use the UNS during a dive. The buoy can be left above surface and it will follow the diver as he/she swims. This way, the diver will constantly see his/her location on the navigation software. 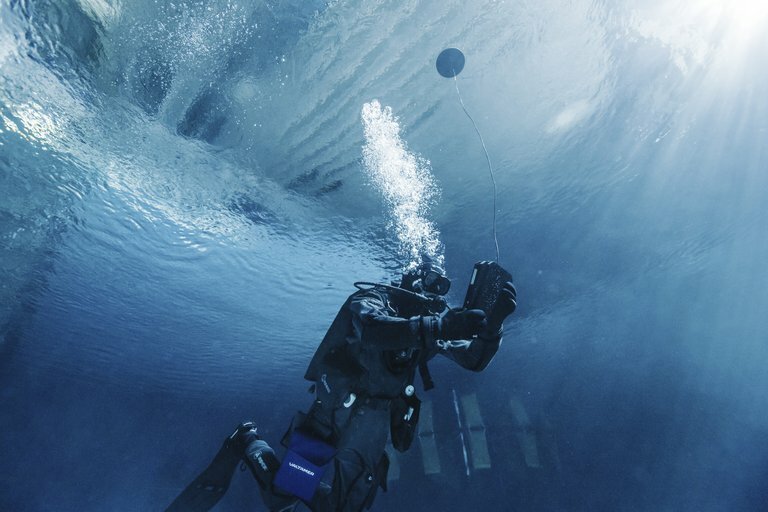 The UNS can also be used similarly to a periscope by releasing the buoy to the surface, receiving a satellite signal for positioning and reeling the buoy back down to the diver. Navigate underwater with assistance from satellite positioning. Plan routes and waypoints before the dive. Navigate with precision and mark locations during the dive. View and analyse the selected path after the dive. During underwater search missions, mark points of interest for later analysis. Stay on track and remain undetected during underwater missions by using the periscope function. Add location information to underwater data collection tasks.